Photo used on Paper Magazine Annual 100 Woman in Pop! 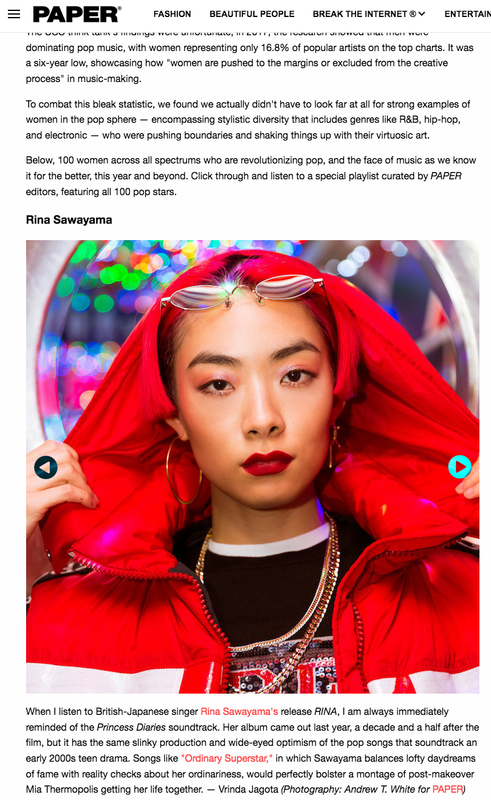 So excited to see this lovely shoot with Rina Sawayama get more air time! Check out all 100 amazing Pop artists Here.